For the past few months, I have tried to knock a book per month off my TBR list - a book that has been languishing on the shelf for a long time. This month's book is actually a recent acquisition. However, I've been waiting for it to come back in print/become available as an ebook for at least 3 years, so it's waaaaay past time to get this one off the ol' list. Taya soars over Ondinium on metal wings. She is an icarus, a courier privileged to travel freely across the city’s sectors and mingle indiscriminately amongst its castes. But even she cannot outfly the web of terrorism, loyalty, murder, and intrigue that snares her after a daring mid-air rescue. Taya finds herself entangled with the Forlore brothers, scions of an upperclass family: handsome, brilliant Alister, who sits on Ondinium’s governing council and writes programs for the Great Engine; and awkward, sharptongued Cristof, who has exiled himself from his caste and repairs clocks in the lowest sector of the city. 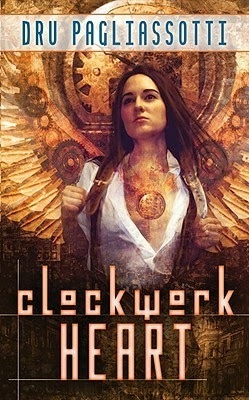 Both hide dangerous secrets, in the city that beats to the ticking of a clockwork heart." I admit to a bit of apprehension. I mean, I've been waiting for this book for years. I have built up some expectations. To wrap things up for the year, read on for my thoughts on DELIA'S SHADOW and TARNISHED, my October and November reads. 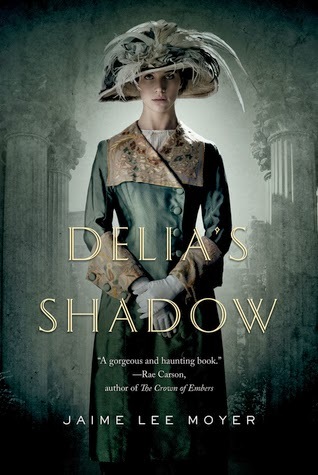 DELIA'S SHADOW: Gothic drama, ghosts, early 1900s San Francisco, I had high hopes for this read, but I just could not get into it. The pace was slow and while I really wanted to know what was up with Shadow, I just couldn't get there. This one ended up as a DNF for me. I'm still sad about it. Maybe I will try it again someday, but for now, more books are calling my name. 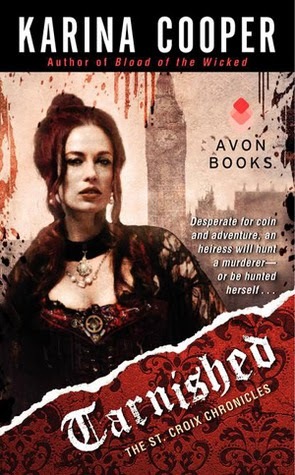 TARNISHED: I am kicking myself for taking so long to read this series. Kickass, tortured, addicted character who is skirting the proper life of a Lady and the criminal underworld. Fast-paced, loads of action, interesting characters, lots of danger from all directions all in an awesome steampunkish world. I told Meghan she needs to read it. I might just have to binge on this series over the next month.